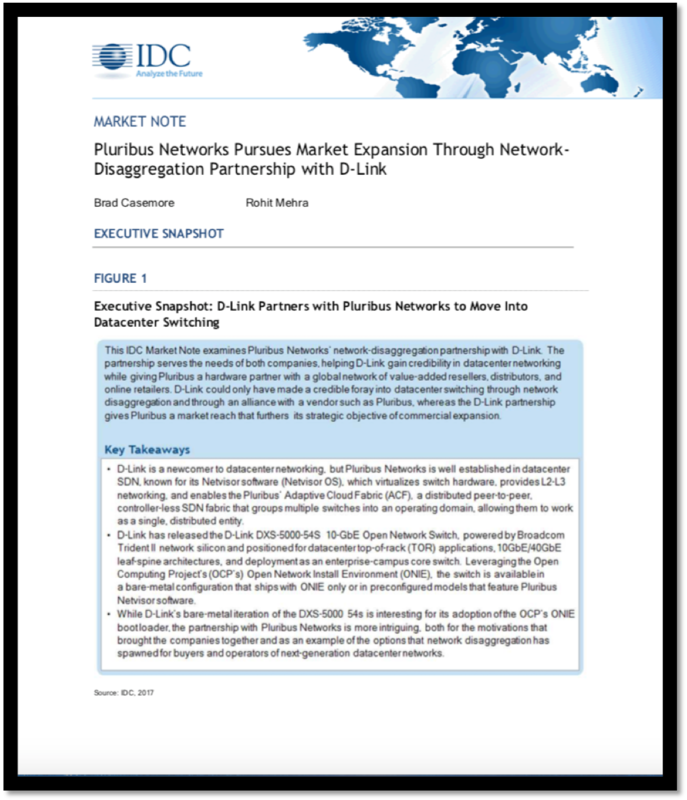 This IDC Market Note examines Pluribus Networks’ network-disaggregation partnership with D-Link. The partnership serves the needs of both companies, helping D-Link gain credibility in datacenter networking while giving Pluribus a hardware partner with a global network of value-added resellers, distributors, and online retailers. D-Link could only have made a credible foray into datacenter switching through network disaggregation and through an alliance with a vendor such as Pluribus, whereas the D-Link partnership gives Pluribus a market reach that furthers its strategic objective of commercial expansion. Register to download the report.